In between jet lag naps and unwrapping all of my stationery from Japan, I started our garden for the summer! I planted almost everything mid-May and then added a couple of things last week. So far, so good, but I really do need to cut back my chive plant before it takes over! 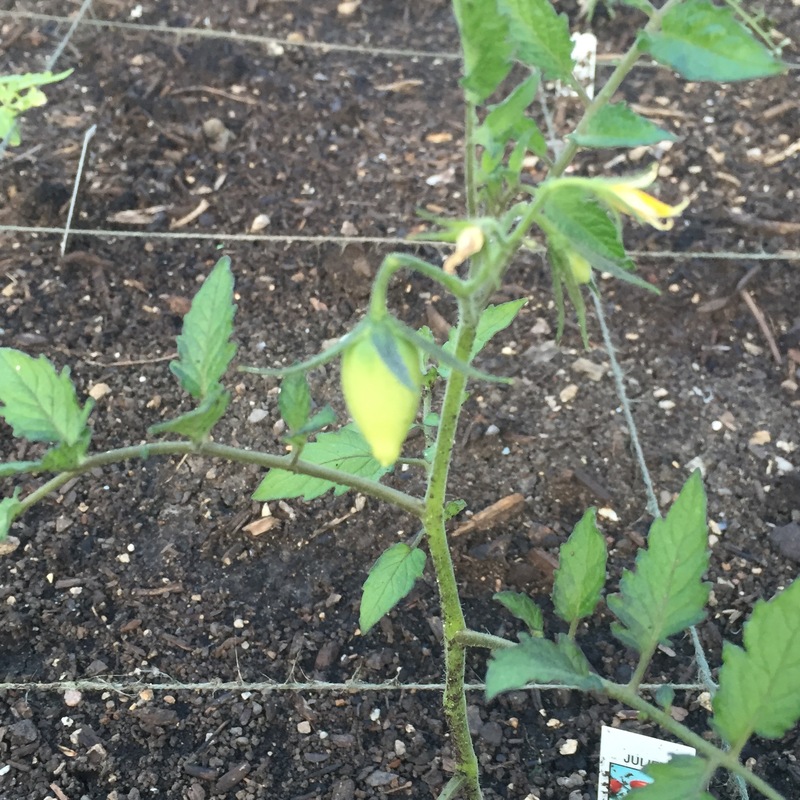 I clearly didn’t learn my tomato jungle lesson from last year…I planted six tomato plants! I just kept seeing new varieties I wanted to try! I planted both pink and red Brandywines, a Juliet, a Golden Girl, a Cherokee Purple, and a Mr. Stripey. The Juliet already has a couple of tomatoes growing! In between the tomatoes, I planted peas, lima beans, edamame, bush beans, Japanese scallions, lettuce, parsley, thyme, and basil all from seed. 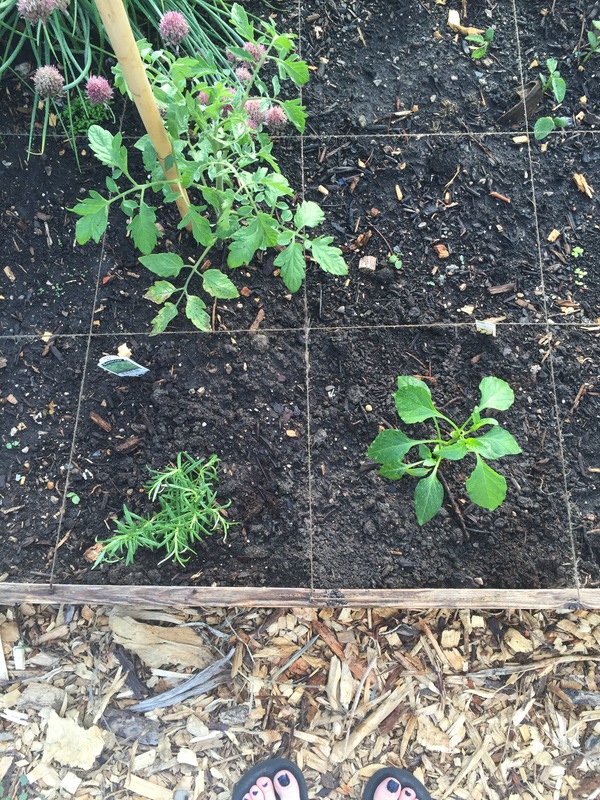 And then on impulse, I added a rosemary plant and a sweet banana pepper plant. I wanted to try a couple of cutting flowers from seed, but I haven’t gotten my act together, so those might have to wait until next year. As it is, things are looking pretty full. All of the seeds are coming up and it really is just a matter of time before the tomatoes are taking over. 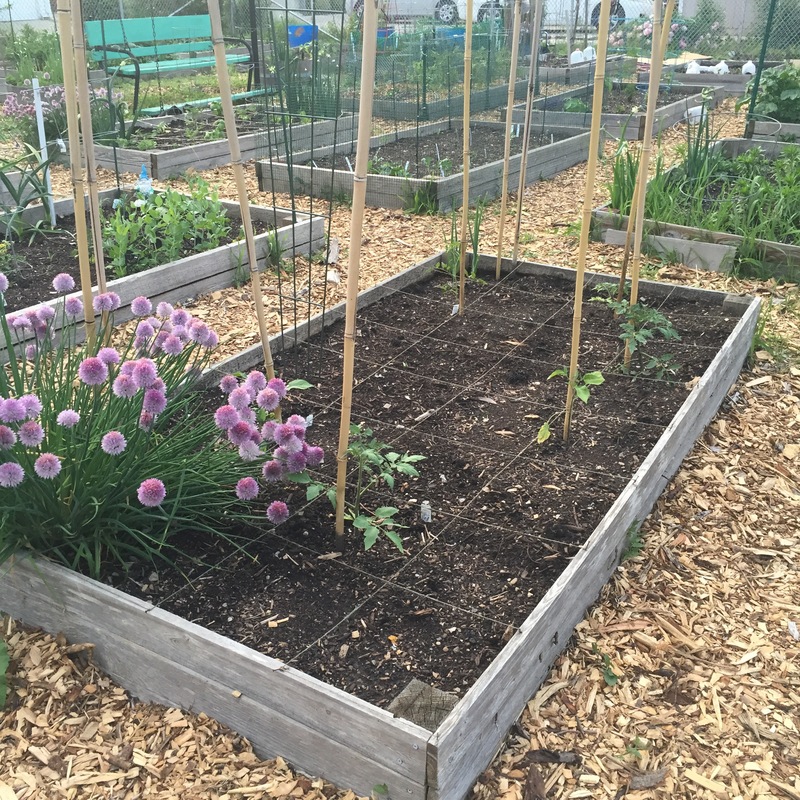 How is your garden growing? My cherry tomato plant is growing at a ridiculous rate. My basil is doing well. But I have not had much success with cilantro–and I’ve really tried! Your garden is looking lovely! Hopefully you have an abundant harvest soon!